Wiremold Vista™ Factory wired architectural column in anodized aluminum finish, features aluminum construction for corrosion resistance and added durability. 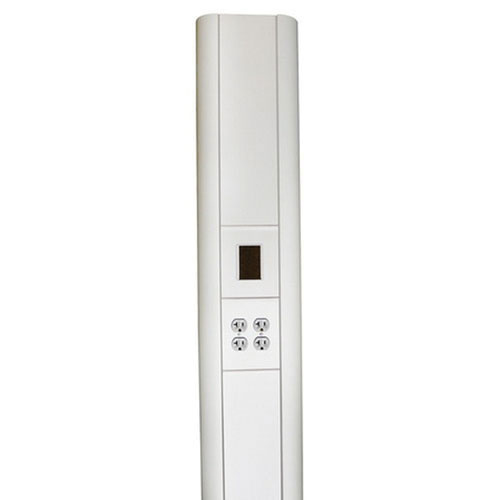 The 2-outlet architectural column has current rating of 20-Amps. It measures 8-29/32-Inch x 3-25/32-Inch x 10-ft 6-Inch. This architectural column accommodates conductor of size 24-AWG. It has two duplex receptacle configuration. The architectural column meets cULus File E15191, Guide PVGT and Article 380 of NEC standards.